(Bloomberg) -- Walgreens Boots Alliance Inc. is facing a reckoning and it’s hitting the drugstore chain’s billionaire chief executive, Stefano Pessina, in the walllet. Beset by bruising retail competition, changing drug-price economics and consolidation among its rivals, the company saw its shares fall Tuesday by the most since August 2014, sinking 13 percent to close at $55.36. The plunge came after the chain posted lower second-quarter profits and cut its guidance for the fiscal year. Pessina, a multibillionaire who owns 15.4 percent of the company, saw his net worth decline by $1.18 billion, from $11.35 billion to $10.17 billion, according to the Bloomberg Billionaires Index. There were few bright spots for Walgreens in the past three months, a period Pessina said was the toughest in his tenure as CEO. At its pharmacy counters, the source of two-thirds of its U.S. sales, Walgreens filled more prescriptions but was hurt by smaller reimbursements from insurers. Meanwhile, same-store retail sales fell 3.8 percent in the quarter as shoppers picked up fewer cold remedies and tobacco products. Makers of brand-name drugs, under pressure from politicians, haven’t been raising prices as rapidly, limiting a source of growth for drugstores like Walgreens. On top of that, wholesale prices for generic medicines aren’t dropping as fast as they were a year or two ago, depriving the company of significant markups. Walgreens’ U.S. business is “under siege,” said Evercore ISI analyst Ross Muken in a note to clients, saying the results were worse than even pessimistic investors imagined. Pessina said on a conference call with analysts that Walgreens management saw the trends coming but wasn’t quick enough in putting countermeasures in place. Pessina, who resides in Monaco, has made and lost billions from his Walgreens holdings. 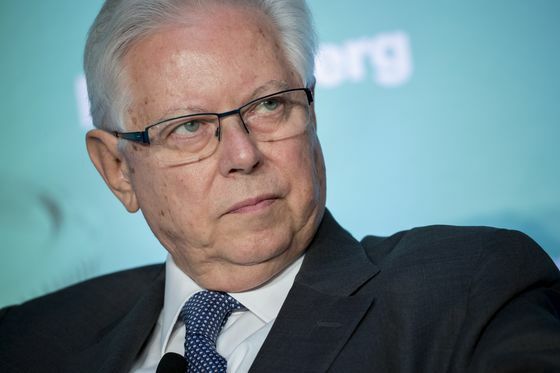 He first received a stake in Walgreens in 2012 when the company bought 45 percent of Alliance Boots, the British drugstore chain he then chaired. After Walgreens acquired the remaining 55 percent of Alliance Boots at the end of 2014, Pessina’s net worth was almost $11.7 billion. His wealth peaked at $15.3 billion in July 2015. A spokesman for Walgreens declined to comment on the change in Pessina’s wealth. Walgreens is less diversified than its biggest rival, CVS Health Corp. CVS, which already owned drug-benefit manager Caremark, bought insurer Aetna Inc. last year. But Walgreens’ 2015 plan to acquire drugstore rival Rite Aid Corp. -- which would have vaulted it past CVS in store count -- fizzled after regulators objected. Walgreens ended up buying 1,932 Rite Aid stores but not the company itself. Those purchases, completed last year, have brought Walgreens to a total of 9,560 U.S. stores. Walgreens said Tuesday it would close 750 U.S. stores, up from a previously announced 600. And it boosted its cost-cutting target to more than $1.5 billion a year by fiscal 2022, from more than $1 billion. Most recently, Walgreens has focused on partnerships. The company announced a retail partnership with grocer Kroger Co., a drug-delivery agreement with FedEx Corp., and a digital-health effort with Microsoft Corp. But those haven’t yet made a difference on the bottom line. On the conference call, Pessina promised things would eventually turn around. “We still believe in this market. We still believe that this market is a market for the future, a big market with continuous growth,” Pessina said, emphasizing that he wouldn’t use cash to overpay for a big acquisition.